Data from the North Carolina Education Assistance Authority shows that North Carolina’s largest voucher program, the Opportunity Scholarship, was over-funded by approximately $16.8 million in FY 2017-18. The state appropriated $44.8 million to subsidize tuition costs for students attending private schools last fiscal year, but issued only $28.1 million in vouchers. That $16.8 million is money that could have otherwise been put to productive use in our public schools. Per student funding for North Carolina’s public schools remains five percent below pre-Recession levels when adjusted for inflation. Our schools receive fewer teachers, instructional support personnel, and assistant principals than they did prior to the 2010 change in General Assembly leadership. Funding for textbooks, supplies, and teacher assistants are all down more than 35 percent from pre-Recession levels. Despite the lack of demand for the program, legislators increased funding for the Opportunity Scholarship program by an additional 22 percent ($10 million) for FY 2018-19. Funding increases continue to outpace demand. As a result, the level of voucher funding that will sit untouched is likely to increase to about $19.3 million in FY 2018-19. Absent action from the General Assembly, funding for the under-subscribed program is set to increase by $10 million per year through FY 2027-28. The Opportunity Scholarship voucher program is the only educational initiative for K-12 students with guaranteed funding increases. Of course, the financial hit to North Carolina’s public schools extends beyond the millions of dollars sitting needlessly unused in state coffers. 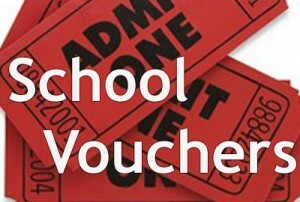 Researchers from NC State found that nearly half of all families who applied for, but failed to receive a voucher, ended up sending their child to a private school anyway. That implies that almost half of the $54.8 million of Opportunity Scholarship funding is being wasted, subsidizing activities that people were going to do anyway. The remaining $28 million or so is also wasted if the voucher students are getting a worse education in private schools. Unfortunately, policymakers refuse to allow any serious evaluation of the program. Report: Early childhood is worth the investment for N.C.